Differential pressure flowmeters are a type of inferential flowmeter where the flowrate is calculated from a non-flow measurement. In this case various methods of obstructing flow are used to create a pressure drop across a section of pipe. The flow rate is then easily calculated from the measured pressure drop using Bernoulli’s prinicple. Differential pressure meters account for approximately 30% of all flowmeters. They are easily adaptable to a wide variety of applications and are good for handling high temperatures and pressures. They are however, expensive to install relative to other types of flowmeters. Differential pressure flowmeters, also known as DP flowmeters, create a cross sectional change in the flow tube, which causes the velocity of the flowing fluid to change. A change in velocity occurs whenever there is a change in flow cross-section; i.e., with a decrease in velocity, an increase in pressure occurs. 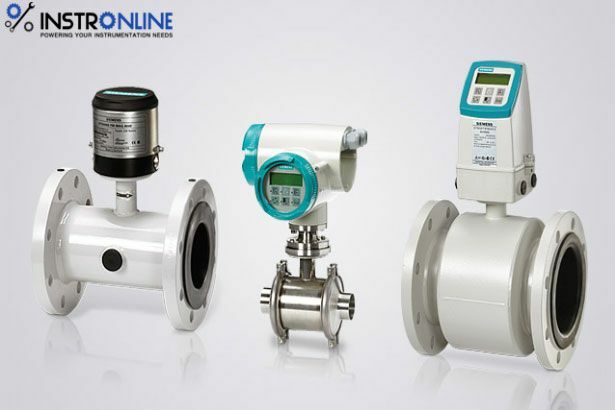 Differential pressure flowmeters can be used as liquid flowmeters or gas flowmeters; however, a single flow meter may not be configured to measure both liquid and gas phases. Venturi Flowmeters: a restriction with a relatively long passage having a smooth entry and exit. A venturi produces less permanent pressure loss than an orifice but is more expensive. They are often used in dirty streams because there is no build-up of the foreign material. Venturi flow meters can be constructed to be either gas flowmeters or liquid flow meters. Nozzle Flowmeters: smooth entry and sharp exit. Permanent pressure loss is on the same level as an orifice, with the added ability to handle dirty and abrasive fluids. A differential pressure transmitter is used to measure pressure between the nozzle and the pipe flow stream. This type of differential pressure flowmeter technology can be constructed to measure either gas or liquids. Pitot-static tube Flowmeters: a device consisting of a Pitot tube and an annular tube combined with static pressure ports. The differential pressure between the two ports is the velocity head. A differential pressure transmitter is used to measure pressure differential between the two ports. This indication of velocity combined with the cross-sectional area of the pipe provides an indication of flow rate. Pitot tube flow meters, can measure either liquids or gases. Elbow Flowmeters: a differential pressure is caused by centrifugal force between the inside diameter and the outside walls of the pipe elbow. It does not introduce any additional pressure loss other than that caused by the elbow. A differential pressure transmitter is used to measure pressure between the walls. This type of flow meter technology can be configured as either a gas or a liquid flow meter. Wedge Flowmeters: a wedge-shaped element that is perpendicular to the flow at the top of the conduit which means that the bottom part is unrestricted. Therefore, it is useful in slurry measurement. A differential pressure transmitter is used to measure pressure between either sides of the wedge. However, this type of differential pressure flow meter technology can be constructed to work as either a gas or a liquid flow meter. V-Cone Flowmeters: consists of a V-shaped cone element placed at the center of the pipe which creates an annular space for the passage of fluid. It has lower permanent pressure loss than orifice flowmeter. The cone element conditions the flow at the same time it is creating the pressure differential, providing for smoother and less noisy differential pressure readings vs. the orifice technology. A differential pressure transmitter is used to measure pressure before and after the cone. This type of differential pressure flow meter can be constructed to measure gases, liquids, or steam. Laminar Flowmeters: Flow rate is linearly proportional to the differential pressure and inversely proportional to the viscosity of the flowing fluid. A flow can be made laminar by passing through a bundle of small diameter tubes. A differential pressure transmitter is used to measure pressure before and after the tubes. This type of differential pressure flow meter technology can be constructed to measure either gas or liquids.